With a little bit of knowledge and routine care, it’s easy to keep your car in great shape for a long time. For many drivers, though, these common car maintenance mistakes could be causing serious harm. Are you guilty of any of these common car-care blunders? 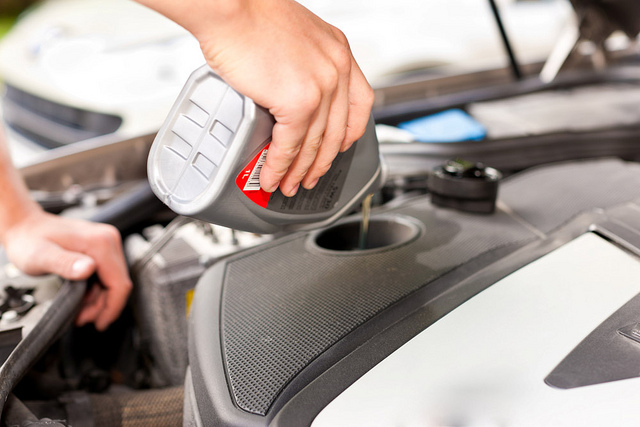 While most people know they need to change their car’s motor oil every once in a while, some drivers generally neglect monitoring other crucial vehicle fluids like coolant, brake fluid, and transmission fluid. All of these fluids play crucial roles in overall vehicle healthy and safety and should not be overlooked. Tires are the only point of contact between your vehicle and the road. As such, it’s hard to over-stress their importance. You should never wait for a flat to pay attention to your tires. Instead, make a habit of routinely monitoring tire pressure, tread, and alignment and have them looked at or taken care of if you suspect a problem. Many drivers simply don’t know car maintenance basics that are important for keeping your vehicle in good shape. Every driver should know how to jump start their car, when to change the oil, and how to change essential components like windshield wiper blades. If you’re simply not confident or comfortable doing maintenance yourself, you don’t need to worry. 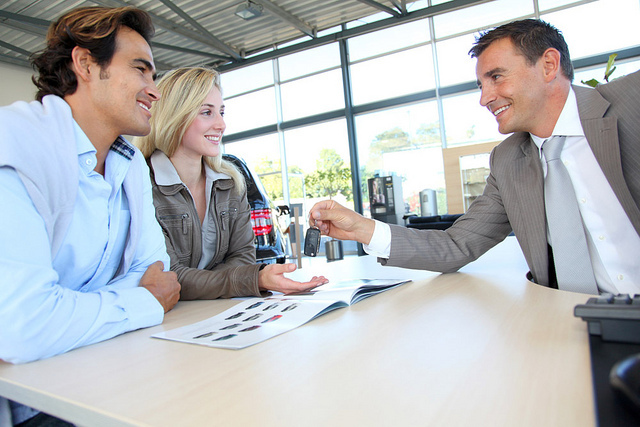 The team at Avery Greene Honda is more than capable of addressing all of your vehicle’s needs in a timely fashion. If you have any questions or concerns about your ride, stop in and see us. Since it first rolled out in 2015, the Honda HR-V has been a consistent favorite among drivers looking for a compact crossover that delivers big when it comes to versatility and fun. 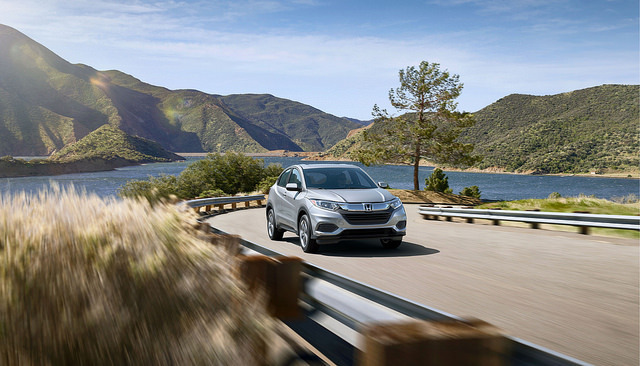 The 2019 Honda HR-V takes things to a whole new level, offering a refreshed exterior, new and exciting connectivity technologies, and even more of the flexibility that has made the HR-V so popular up to this point. The 2019 Honda HR-V features a new, redesigned front end that is undeniably stylish. A bolder chrome grille insert and new LED headlamps are sleek, modern, and striking while new wheel designs make a lasting impression the road. The 2019 HR-V is also available in two new trim levels — Sport and Touring — that come with their own distinctive design cues. One of the most appealing upgrades to come to the 2019 Honda HR-V is the incorporation of Apple CarPlay™ and Android Auto™ to the available infotainment system. Now, you can count on intuitive connectivity whether you prefer an Apple and Android smart device, allowing access to all your favorite apps, music library, and contacts. The 2019 Honda HR-V offers an impressive array of features that make it more flexible than ever. Not only does the 2019 HR-V boast up to 57 cubic feet of available cargo space, it also offers a convenient 60/40 2nd-row Magic Seat® for increased comfort and convenience, as well as three configurable interior modes. The best way to see all that the new 2019 Honda HR-V has to offer? Stop into Avery Greene Honda and take one for a test drive! 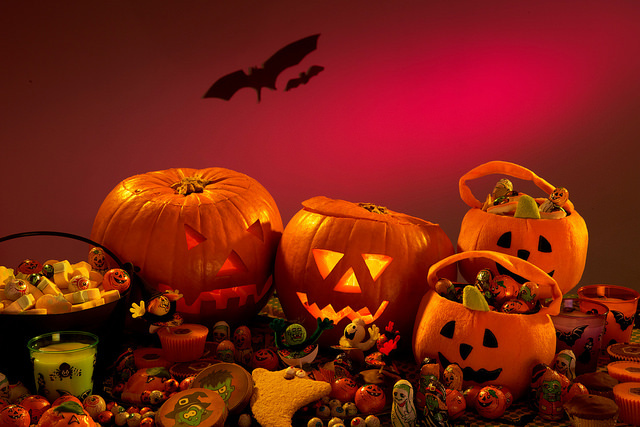 Halloween is a season for celebration if you love smiling jack-o-lanterns, spooky movies, and things that go bump in the night in general. If you want to spend the season of the witch having fun with friends and family, you’d do well to check out some of these great Halloween attractions near Vallejo. Six Flags Discovery Kingdom’s Fright Fest returns for yet another season of scares from Sept. 21 to Oct. 31. This year, in addition to the litany of ghouls and goblins that take over the park, guests can check out two new additions: the Demon’s Lair haunted attraction and the Scarecrows Hollow Scare Zone. Returning attractions and Scare Zones include Carnevil, Scrapyard of the Dead, Mt. Rotting Cemetery, and Sawmill Hollow. For a more kid-friendly Halloween outing, stop by the John F. Kennedy Library on Oct. 26 from 4-5 p.m. for the annual JFK Great Pumpkin Halloween Party. Guests are encouraged to dress up like their favorite book character or in a costume of their choice and take part in an hour of games, arts and crafts, and all-around fun. There’s so, so much more to do around Vallejo this Halloween, so you’re going to want a vehicle that will get you where you want to go in style. For that, turn to Avery Greene Honda, where we’ve got no tricks and only treats. 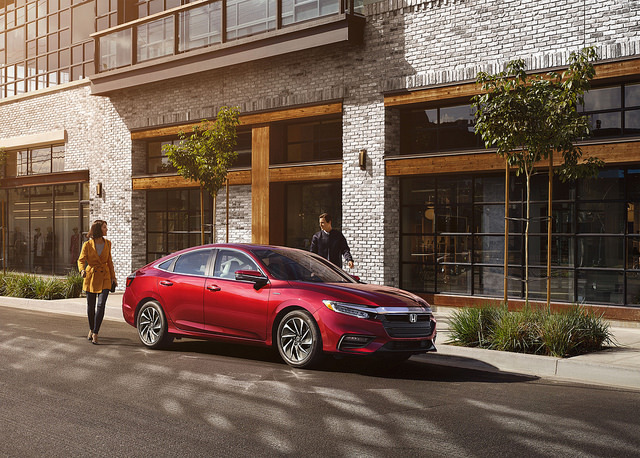 The 2019 Honda Insight expertly melds high-end styling with exceptional fuel economy, making it a great choice for any sedan shopper. If safety is one of your top priorities, then you’ll take comfort in the fact that the new Honda Insight was recently named a 2018 Insurance Institute for Highway Safety (IIHS) TOP SAFETY PICK+. The new 2019 Honda Insight scored ratings of “GOOD” in all IIHS crashworthiness tests, a rating of “GOOD” for its LED headlights, and a rating of “SUPERIOR” for the Collision Mitigation Braking System™ (CMBS™) feature offered as part of standard Honda Sensing®. This establishes it not just as one of the safest hybrids on the road or even as one of the safest in its segment, but as one of the safest vehicles on the road today overall. 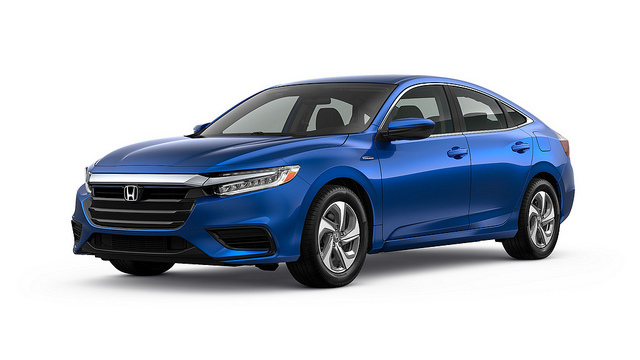 The 2019 Honda Insight is also expected to earn the 5-Star Overall Vehicle Score from the National Highway Traffic Safety Administration (NHTSA). This, coupled with its handsome looks and EPA-estimated fuel economy of 55 mpg in the city, should make it as close to a sure bet as it gets. To experience the safe, smart, and stylish new 2019 Honda Insight, stop by Avery Greene Honda. Even if you drive a gas-guzzling clunker, there are steps you can take to make your car greener. Don’t worry; we’re not going to instruct you to get a new grasshopper-green paint job. But, there are a few easy things every driver can do to increase their efficiency and decrease your carbon footprint while you’re behind the wheel. 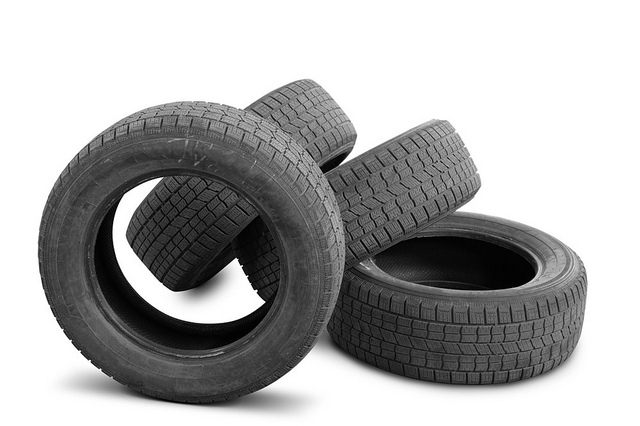 Under-inflated tires are simply less efficient than their properly inflated counterparts. The engine has to work double-time to get them moving and keep them moving, which wastes valuable gasoline. Make sure your tires are well-inflated year-round. It’s easy to let your cargo space get out of hand in the summertime. Whether you’re overloading your trunk with fishing gear, soccer bags, luggage, or camping supplies, all that extra weight adds up. Save at the pump and save the planet by removing extra weight from your vehicle as soon as you’re done with it. Using A/C puts an extra strain on your engine, as it requires significant electrical energy to run. If you opt for rolling down the windows at slower speeds, you can save your car and your conscious a lot of stress (not to mention give yourself the perfect windswept hairdo). If you’re interested in opting for an energy-saving model, visit our showroom to learn more about the 2019 Honda Insight, an all-new hybrid perfect for green driving. Changing your tires is one of the most essential parts of standard vehicle maintenance, but many car owners don’t really know when the best time to do it is. If you’re thinking you might fall into this category, have no fear. Our service experts at Avery Greene Honda have a few easy tips for identifying when the time to change your tires has come. Modern tires are manufactured with something called a “wear bar.” A wear bar is a small ridge that is built inside the rubber of the tire below the tread. The wear bar is only visible when — you guessed it — the tire starts to wear. You can identify the wear bar simply by taking a close look at your tire. Do you see a horizontal bump under the tread? That’s your wear bar, and if it’s peeking out, it’s time for a new set of tires. Take a penny and stick it into your tire tread with Honest Abe upside down, or headfirst. If most of President Lincoln’s head is hidden inside the tread, your tires are still road-worthy. But, if you can see his forehead, it’s probably time to get a new set of tires. If you’re unsure of the results of either of these quick tests, you can always schedule an appointment with our service department at Avery Greene Honda. One of our experienced service technicians are standing by to give you an honest recommendation for your next steps. After a long wait, the new 2019 Honda Insight Hybrid compact sedan is available at Avery Greene Honda, starting with a low price under $23,000. This long-awaited hybrid, available in LX, EX, and Touring trims, offers best-in-class passenger space and incredible fuel economy from a surprisingly potent engine. Specifically, the Insight’s two-motor powertrain and engine combo generates 151 horsepower while yielding up to 55 miles per gallon in the city, 49 on the highway, and 52 combined. * Instead of a conventional automatic transmission, the Honda Insight boasts three driving modes: Eco, Normal, and Sport. Key standard features for the new 2019 Honda Insight include push-button start, a digital driver’s meter, multi-element LED headlights, and the Honda Sensing® suite of safety technologies. Included in the Honda Sensing suite are the Lane Keeping Assist System, Adaptive Cruise Control, the Road Departure Mitigation System, and the Collision Mitigation Braking System™. Honda Insight EX models boast 8-inch Display Audio with Android Auto™ and Apple CarPlay™ compatibility while Insight Touring models include an eight-way power driver’s seat, dual-zone automatic climate control, leather seating surfaces, the Honda Satellite-Linked Navigation System™, and additional features. 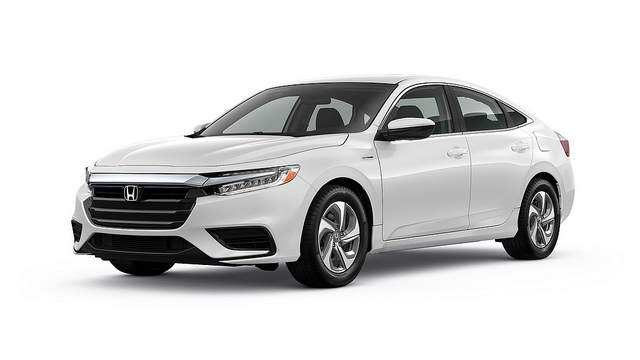 Test drive the all-new 2019 Honda Insight Hybrid at Avery Greene Honda. *Based on 2019 EPA mileage ratings. Use for comparison purposes only. Your actual mileage will vary depending on how you drive and maintain your vehicle, driving conditions, lithium-ion battery pack age/condition and other factors. Although buying a new car at Avery Greene Honda is the more traditional route, many drivers choose to lease their new set of wheels. But what are the benefits of leasing a car? Smaller down payment: Leasing is a great option if you don’t have much saved up for a down payment on a new car. Many times, you can get a lease deal with nothing due at signing. Smaller monthly payments: Because you are not buying the vehicle outright, you will not pay the full cost of the car — just the cost of “renting” it for a set number of years. This means smaller monthly payments or the ability to drive a vehicle or trim level you might not otherwise be able to afford. Warranty: Typically, lease vehicles remain under warranty the entire time you drive them, meaning you will never need to worry about costly repairs. Technology: By leasing a new car every few years, you are not stuck with a major investment for more than 10 years. That means you will have access to the latest infotainment and connectivity technologies. More importantly, you will have access to the latest safety technologies, including new driver-assist features that improve each and every year. Learn more about your leasing options when you visit us at Avery Greene Honda. Summertime is here, and many of us are ready for the warm weather and fun in the sun that the summer brings. This summer, you should spend some time exploring the surrounding area with your family and friends and get to know Vallejo even better. Here are some things to do this summer in Vallejo. This naval station has an all-American history. 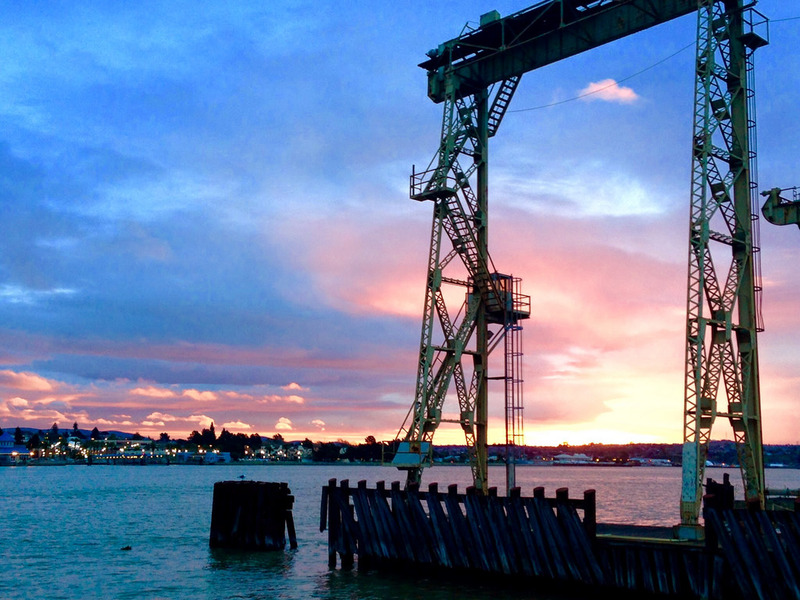 Established in 1851, it was the first naval station on the West Coast. The naval station closed in 1996, but now it’s an up-and-coming neighborhood with tons of local businesses, a golf course, and plenty of attractions for residents and visitors to enjoy. At the Mare Island Shoreline Heritage Preserve, you can explore a unique park and take part in whatever outdoor activities you choose: including hiking, biking, and exploring. Head over to the Sonoma Raceway to experience some thrilling SCCA road racing, motorcycle racing, and fun car-related events like vintage car shows. Perhaps you prefer horse racing to auto racing, in which case you can head over to Solano Race Place’s Satellite Horse Racing Facility. Enjoy food and drinks while you place wagers on the horse races. At Avery Greene Honda, we are proud to serve the community of Vallejo. Stop by our showroom to take a look at all of our latest inventory and test drive your favorite new model. Residents of Vallejo are perfectly poised to set out on a northern California road trip this summer and explore the beautiful region we call home. Start your road trip right here in Vallejo and continue on your journey to explore stunning San Francisco landmarks, northern California landscapes and vineyards, and taste some of America’s finest wines. Here are some stops you should consider adding to your trip. 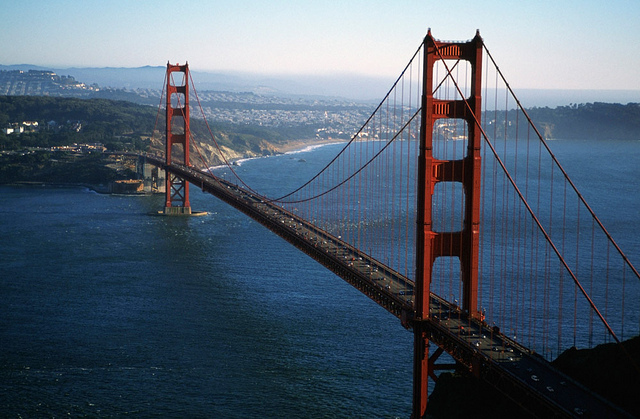 Start your trip in San Francisco to explore the sites and fun atmosphere. Take a stop at Golden Gate Bridge and explore the beautiful Mendocino Headlands State Park on the sea. Detour through Redwood National Park to see the breathtaking trees and witness their magnificence. Yosemite National Park is home to some of the most beautiful landscapes on earth. It is full of diverse flora and terrain and known for its biological diversity, so you will definitely want to spend at least one day exploring in Yosemite. Climb aboard to one of Napa’s most unique restaurants. Sit back and enjoy the gourmet food, excellent wines, and tours all while aboard an antique rail car. In the summer, Lake Tahoe’s various resorts offer mountain biking, hiking, and numerous scenic adventures. If you’re looking for a more leisurely adventure, you can enjoy the views on a gondola ride. Napa Valley and Sonoma are home to premier vineyards and wineries, and you don’t want to miss out on the opportunity to explore them in the summertime. Searching for a road-trip ready vehicle this summer? Stop by Avery Greene Honda or give us a call to schedule a test drive.